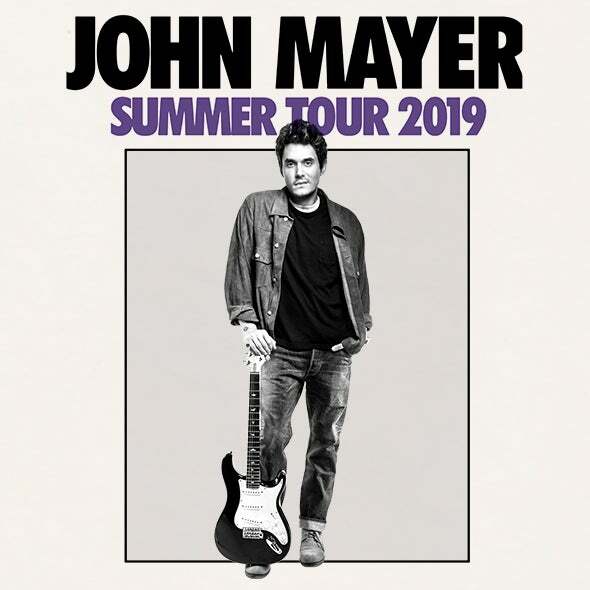 Known for numerous massive hits, such as last year’s "New Light," "Gravity," "Love on the Weekend," "Heartbreak Warfare," "Daughters," "Waiting on the World to Change," "Your Body Is a Wonderland," and many more, John Mayer is again touring North America in 2019, for the fourth consecutive year, with Dead & Company, featuring Grateful Dead members Bob Weir, Bill Kreutzmann and Mickey Hart, along with Oteil Burbridge, Jeff Chimenti - and Mayer himself. Singer/songwriter John Mayer has won seven GRAMMY® awards and has earned a record seven U.S. #1s on Billboard’s Top Rock Albums chart and 25 entries on the Hot Rock Songs chart, the most for any solo artist. In 2018, he released the Gold-certified "New Light," while working on his eighth solo album, the follow-up to 2017’s critically acclaimed The Search for Everything. For the third consecutive year, Mayer toured with Dead & Company in 2018, who played to over 500,000 people on its third and largest tour. Additionally, he launched ‘Current Mood,’ his highly regarded Instagram Live show on Sundays, which some have dubbed, "the best way to start the week on a high note, maybe even the only way."